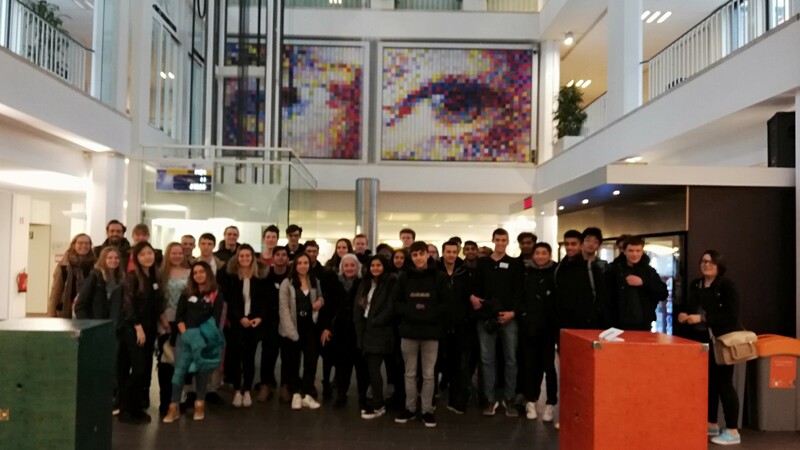 On 14 and 21 March 2019 a masterclass event on networks and their applications was organized by the NETWORKS program at the Technical University of Eindhoven and in Leiden University. 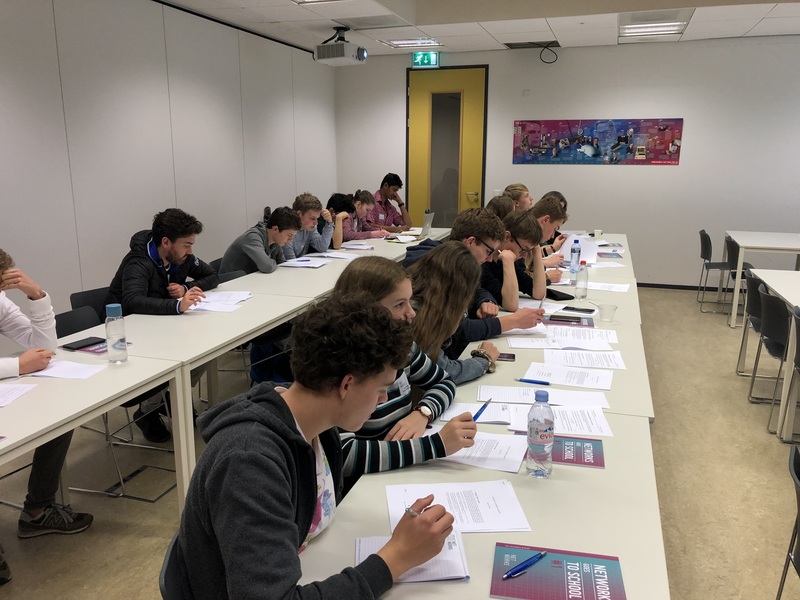 This two day event was intended for secondary education students and teachers who want to broaden their scientific horizons by having a glimpse into state of the art mathematical research. This was the second masterclass organized by NETWORKS, the first masterclass was organized last year. We aspire to organize a masterclass every year where young researchers will present their research results! This year we had a group of 65 school students who came from various schools to enrich their mathematical knowledge! We are very happy to see so many students participating in the masterclass. The main topics covered in this masterclass were Queueing theory and Mathematical genetics. 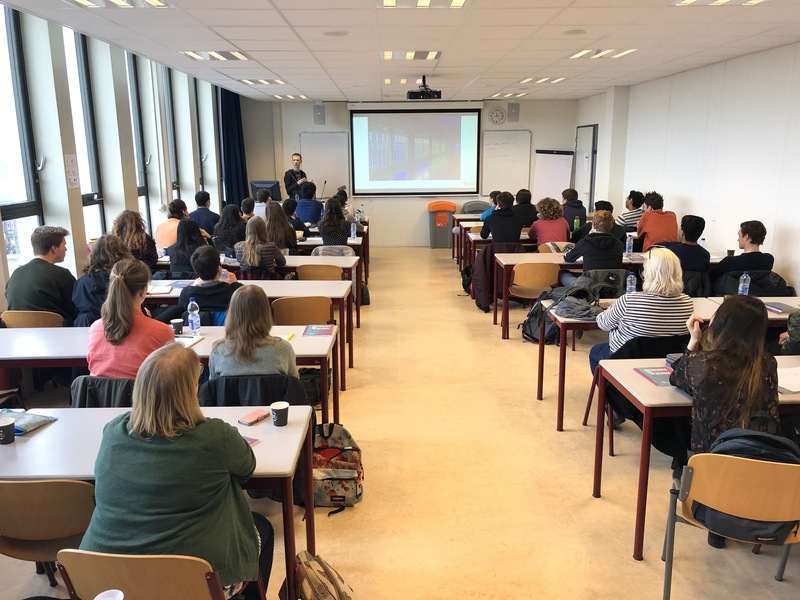 Mark van der Boor, who is doing a PhD at the Eindhoven University of Technology, talked about his research on how to mathematically model a queue. He also discussed a very important problem in queueing theory, load balancing. The main idea of load balancing is to find an efficient way to distribute the work arriving at some system to the servers that are available. Margriet Oomen, who is doing a PhD at Leiden University, talked about her research on mathematical genetics. She discussed the Wright-Fischer model which describes the evolution of genes within a population. Before every lecture there was a crash course providing all the necessary background knowledge needed to follow the lectures. 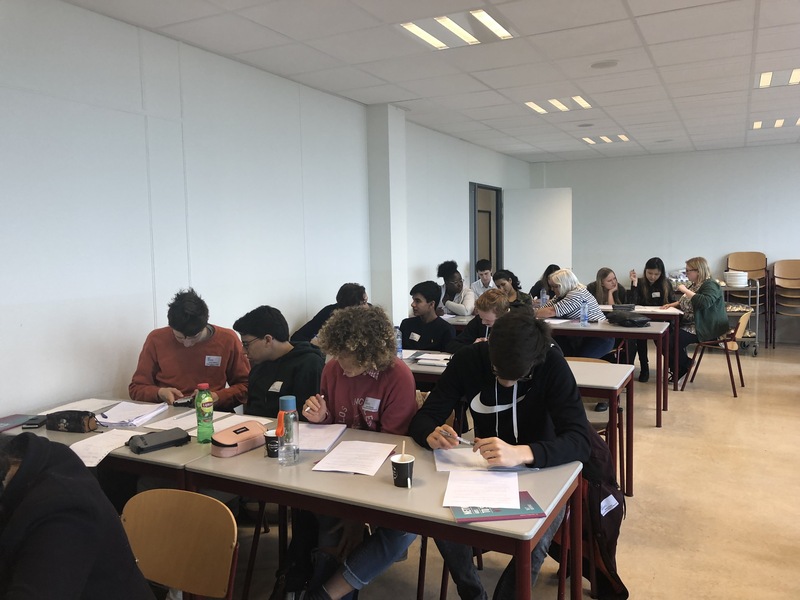 After every lecture there was an exercise session where everyone could work on the material and discover more aspects of the topics presented. The program was quite intensive but everyone tried to benefit as much as possible from the discussions. The students and the teachers enjoyed both days very much and were very pleased they had the opportunity to participate in such an event. We would like to thank all schools for trusting us by sending their students to this event! Their trust and the student's enthusiasm gives us even more energy for the masterclass next year! All the material from this year's masterclass will be gathered in a self-contained booklet which can be used by teachers in the classroom or by students who want to have a glimpse into networks science!